The last time I stepped on this island was so long ago - almost like 2 decades. This morning we make the journey once again, and into the inter tidal area we went. Like Lazarus who was resurrected by Jesus, the marine lives here apparently has a revival too and we feared every steps that we take will squash a coral here, or a sponge there. We tread carefully, moving ever slowly across the tidal flat, taking pictures along the way. 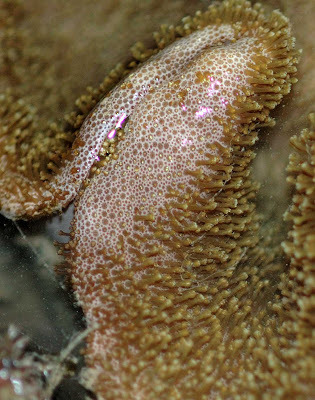 Corals, nudibranch, crabs, sponges - they were everywhere. 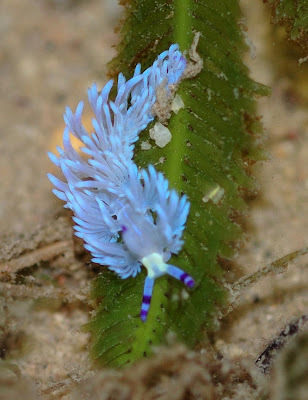 Intertidal creatures are very resilient and to survive during low tide, they have adopted many techniques to keep themselves moist. 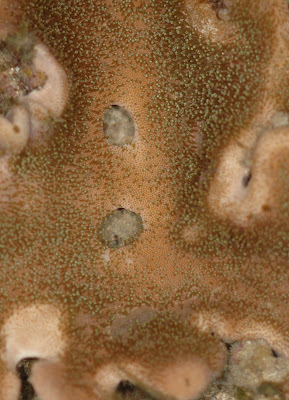 This soft coral above with the portion exposed to the air, the polyps are all withdrawn. But the ones that are still inthe water, you can see them exposed. This Blue Beauties (Coral or Sponge) - I have no clue at this time. Will have to search the literature or some kind sould be so nice to provide the ID. Was standing still, and this fish simply beckoned me to take some pictures. It kept swimming in front of me, and will not keep still. So have to resort to pre-focusing, and when it came within the viewfinder, simply snapped. I love this "plan" view of this unknown fish. 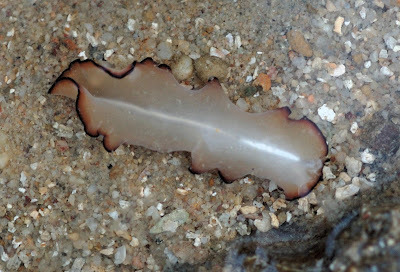 Flat Worm undulating its mantle as it swims in the water. Most graceful like the skirt of a spanish dancer. 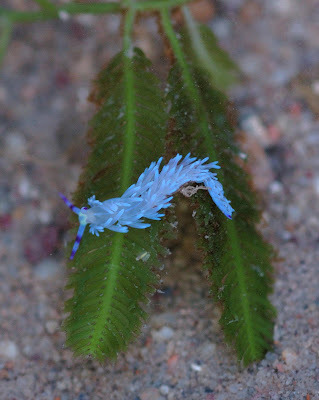 I always wanted to see a Blue Dragon (nudibranch) and today I finally get to see one. This juvenile was really small (estimated to be 1.5 to 2 cm the most in length). But it is really beautiful. 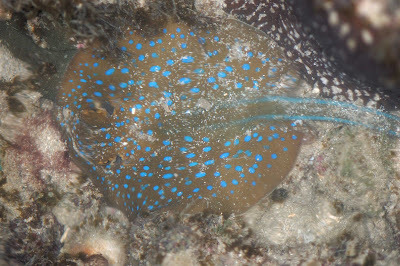 Observe the dark blue bands on the rhinophores (something like the "horns"). Sea Star there was none to be found, bu couple of cousins we did find. Sea Cucumber and Urchins are some of them. 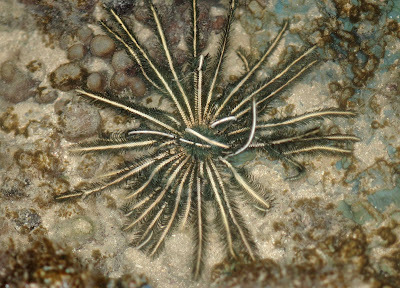 And below a Feather Star (Crinoid). This creature again will be my first time seeing them live. Below, I believe is a Fan Worm but retracted to keep itself moist. 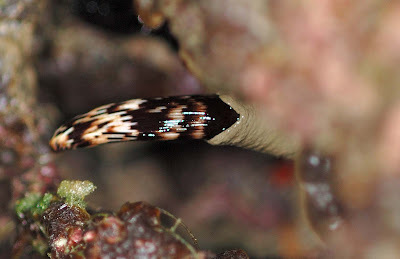 Retracted partially into its tube with all its tentacles clumped together. 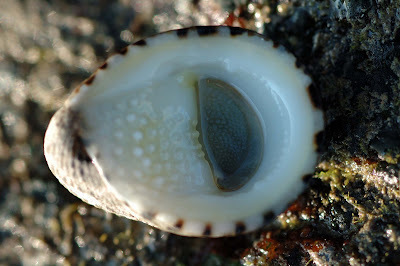 To keep itself from drying up, the Nerite can stay in its shell with the help of the trapdoor (operculum). 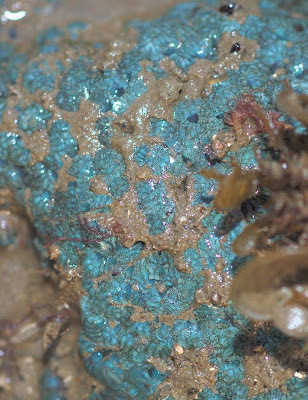 This Nerite has a rough bumpy area near to the entrance - this area is called the "columellar shelf" and not all nerite has this bumpy characteristics which looks like the tongue of an ox. 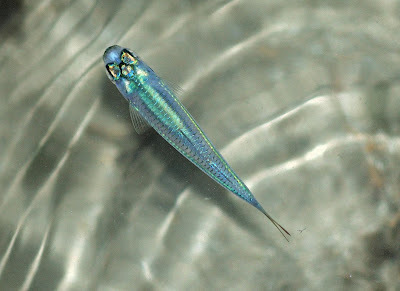 This one is most probably the Nerita albicilla Linnaeus. Hello! We are a group of students from Raffles Girls Secondary and we are currently undertaking a conservation project. We are trying to convince Mindef to conserve Khatib Bongsu, a natural wetland area in Yishun and hence, we are sourcing for as many photographs depicting the place as possible. 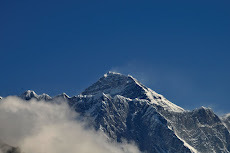 We would like to request for your permission to use the pictures featured in your blog. Is this possible? If need be, we can be contacted at rachel.orlulu@gmail.com Thank you!